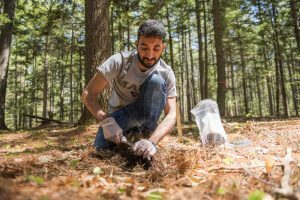 The future of our forests and related natural resources are a global concern and many of our member institutions are deeply involved in international issues through research and the education of students from other countries. Through our International Committee we seek to strengthen our connection to other organizations involved in international education and research, such as the Association of University Forestry Schools of Canada (AUFSC), the International Forestry Students Association (IFSA), and the International Union of Forest Research Organizations (IUFRO). Through this NAUFRP can create opportunities for member institutions to identify and facilitate graduate exchange and research opportunities which contain multi-national perspectives and solutions to forest-based issues. 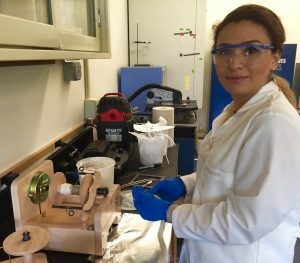 Shokoofeh, conducting research on development of new biomaterials from nanocellulose, received her degree in Iran. 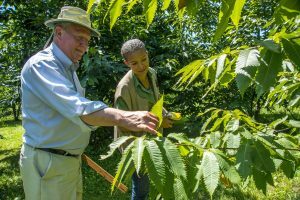 Outplanting and evaluation of blight resistance of hybrid Chestnut (University of Maine).